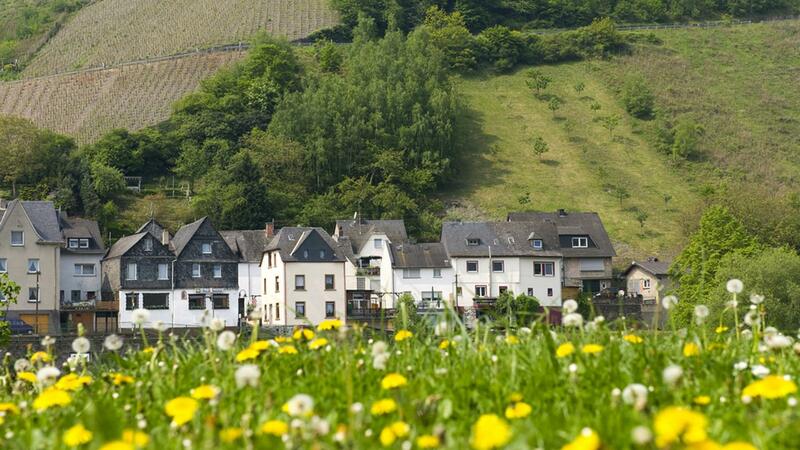 Enjoy a relaxed cycling holiday through Germany’s most famous wine growing area on the Moselle Cycle Path. 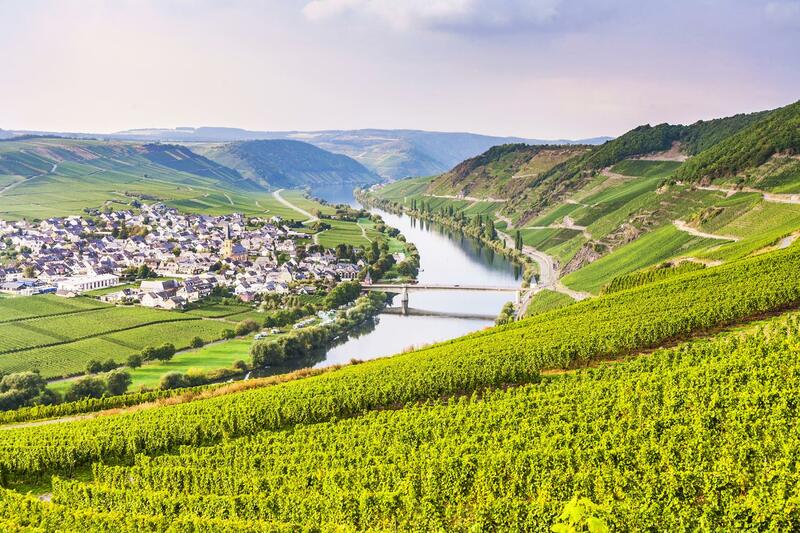 A journey along the Moselle River filled with fabulous food, wine, castles and gorgeous medieval half-timbered villages. The Roman city of Trier is the starting point for your adventure through the vineyards of the Moselle Valley. Founded in 16BC, Trier is arguably Germany’s oldest city and overflows with classical and historical sights, including the Imperial Thermal Baths. Heading north from Trier you are immediately immersed in a landscape of forests, vineyard covered hills and villages filled with medieval half-timbered houses. 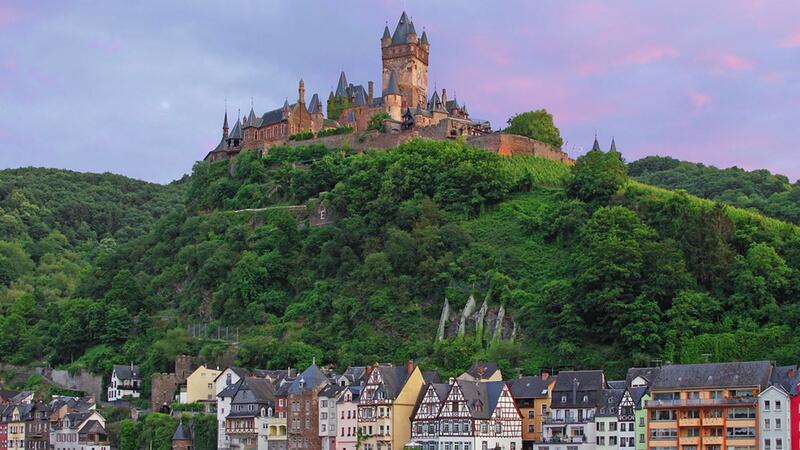 Your journey along the Moselle visits the towns of Bernkastel Kues, Traben Tarbach, Cochem, Neumagen Dhron (the oldest German wine town) and Enkirch, a jewel of the regional medieval ‘Fachwerk’ (Tudor style) architecture. Perfectly suited to those that enjoy cycling on dedicated cycle paths and very few hills, riding the Moselle reveals a treasure trove of Germany's ancient history. The Roman city of Trier is the starting point for your adventure through the vineyards of the Moselle Valley. Founded in 16BC, Trier is arguably Germany’s oldest city and literally overflowing with classical historical sights. The Imperial Thermal Baths (Kaiserthermen) are the highlight but other attractions include the medieval Hauptmarkt square, St. Gangolf's Church, the Red House, the Porta Nigra, the Benedictine Abbey of St. Matthew and the fortified residential towers. Trier is easily reached by train from Frankfurt (2h50) and Cologne-Bonn (2h30) airports and is only a 4 hour drive from Calais. 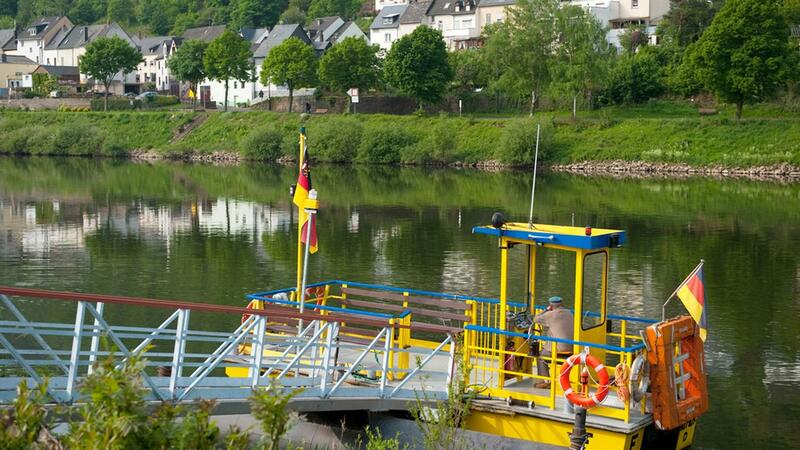 You start your journey on the Moselle Cycle Route heading north east out of Trier, soon passing the town of Schweich. From here you are immersed in a vineyard covered landscape. Reach your destination for the day, Trittenheim. Here a wine nature trail provides you with general information about wine and we would recommend a wine tasting (8 wines) and cellar tour at one of the local wineries. Wine lovers are in for a treat today! This morning you cycle through Neumagen-Drohn, the oldest and most famous wine producing area in Germany. 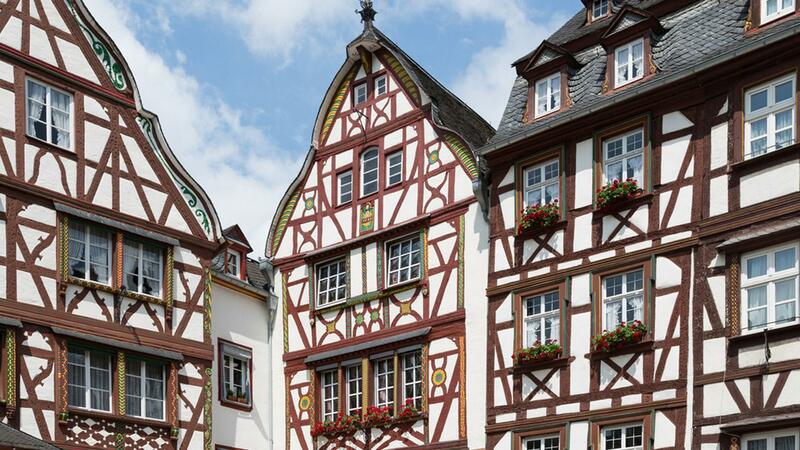 The Roman wine press in Piesport is another compulsory stop, as is the village of Bernkastel, which is famous for its medieval timber framed houses, and the market square is a perfect spot for lunch. Zeltingen, filled with baroque style buildings, is your destination for the day. Your route continues through the famous Kröver Nacktarsch wine producing area to Traben-Trarbach, which has many fine examples of Jugendstil buildings. Enkirch, with its famous half-timbered buildings, is just a little further on before you climb over Zeller Hamm to be greeted by the millions of vines surrounding Zell. The route today takes you through a procession of picture postcard villages. 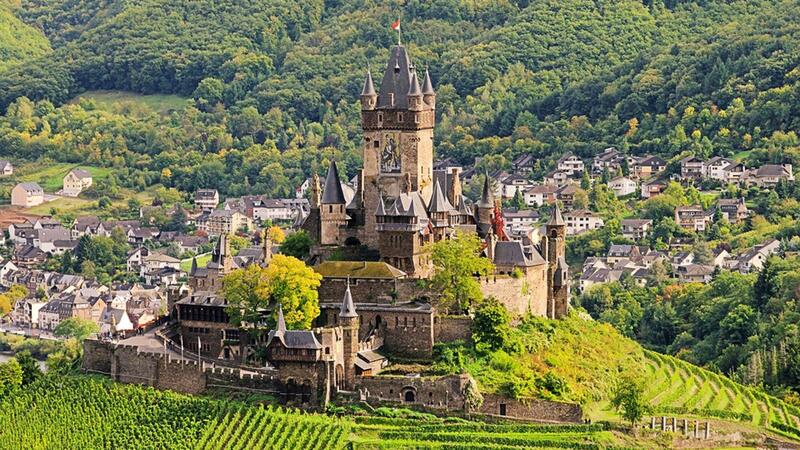 Beilstein and Cochem are both enchanting, as is the 11th century Reichsburg castle. Finally your route brings you to Treis-Karden, another gem filled with castles, churches and half-timbered houses. 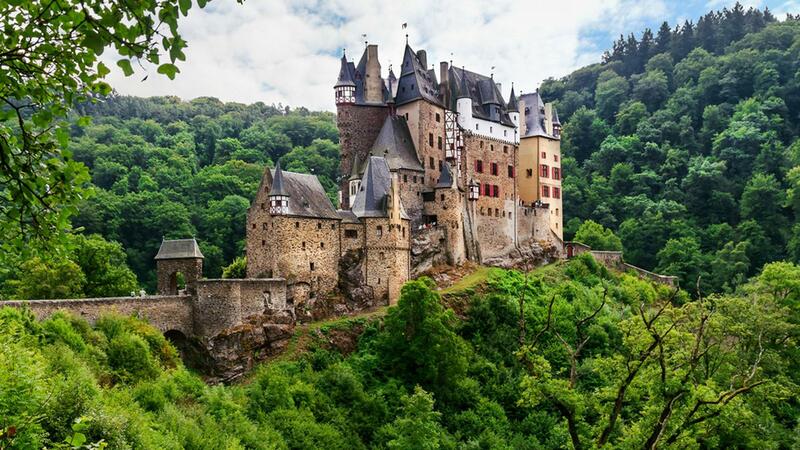 Begin your day with a visit to the medieval castle Eltz before following excellent cycle paths to Koblenz. En route don’t miss the oldest timber framed house in Germany, the Abteihof in Kobern-Gondorf, which dates from 1320. 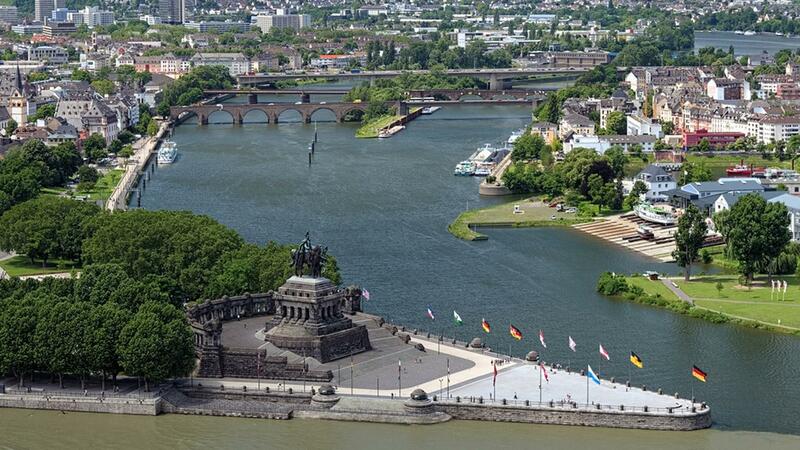 The ‘Deutsche Eck’ (German Corner), with its monumental statue of Emperor William I at the confluence of the Moselle and Rhine, today celebrates German reunification and is a suitable highlight to bring your trip to an end. Your trip ends after breakfast, although you might want to extend your stay in Koblenz or perhaps along the Rhine by bike, boat or foot. Regular trains connect to Frankfurt Airport (1h10) and Cologne (1h00). Our Classic Moselle Cycle Path trip includes accommodation in standard ensuite double/twin rooms in small family run guesthouses and hotels. Each is carefully select them for their warmth of welcome and character. If you would prefer a little more comfort you can upgrade your accommodation to our category 'A' level which includes 3 and 4 star hotels each night. This trip is available to solo cyclists and is perfect as the route is popular so there are plenty of people to chat with every day. This tour is available to start on any day of the week from mid-April to mid-October. The price changes according to the season and during the summer months the trip is more expensive. Please note: If you are planning to travel between late August and early September, then we strongly recommend that you book early. This is due to various wine festivals in the area and hotels being fully booked well in advance. This cycle tour is graded easy. The Moselle Cycle Path is very suitable for beginners and children. The route is marked throughout and we supply you with detailed maps, route notes and information pack. All bike tours are unescorted. The mileages and approximations are distances of the recommended routes. Please be prepared by packing all necessary items, for example, proper rain gear (jacket and pants), sun hat, sunscreen and proper sport shoes. Travel to and from the start/end of your cycle is not included in the tour price and must be arranged on your own. Start/end points are located close to international airports in cities/towns with excellent rail links, and so are easily accessible. Additionally, Trier is only a 4 hour drive from Calais and Koblenz is 4h30 by car from Calais. Personal expenses such as drinks, telephone calls, extra transfers during your cycle, tips, etc. This cycling tour is graded easy. Daily distances are between 32 and 47 km so you will need to have a basic level of fitness and we advise some training before the trip. 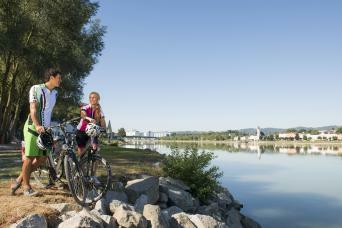 The Moselle Cycle Path is perfectly suited to families and those who prefer a more leisurely cycling holiday. The route is almost entirely traffic-free on dedicated cycle paths and with very few hills. Trier is easily reach by train from Frankfurt (2h50) and Cologne-Bonn (2h30) airports, which are served by a variety of low cost and international airlines. From these airports, it is just a 1h30 train ride direct from Koblenz with Deutsche Bahn. Additionally, Trier is only a 4 hour drive from Calais and Koblenz is 4h30 by car from Calais. You can start the Moselle Cycle Path on any day of the week between mid-April and mid-October. High season occurs between the last week of August and the end of September, when prices increase slightly due to the wine festivals along the river. If you are planning to travel between 18 August—26 September, then early booking (ideally in December or January) is strongly recommended. What bike hire do you offer? 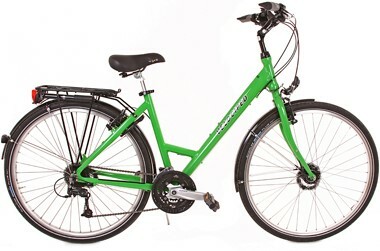 We can arrange bike hire as an optional extra. Bike Hire includes lock and repair kit. 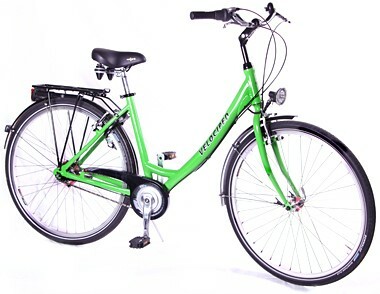 You can rent comfortable touring bikes, or upgrade to an E-bike. For further information and bike images, see the 'Trip Info' area for this tour. Highly recommend anyone considering a cycling holiday to do this cycle path. It is well signposted and relatively flat all the way. The scenery is stunning and you pass many pretty towns. All accommodation is comfortable and provide a good breakfast to start the day. Very easy to book and Macs representative (Hamish) was at the end of the phone to answer our queries. Nothing was too much trouble. We were kept fully informed throughout the booking process. So good, so easy, so rewarding. The holiday was thought out carefully to be sufficiently challenging to get a sense of achievement, but not too onerous or exhausting. Interesting towns, nice hotels, wonderful scenery. Cycle paths were a delight - along riverside, through vineyards, into medieval, half-timbered villages. Both Barbara and I had a fantastic time cycling the Moselle Cycle Path. We looked forward to the great new sights and scenery each day, I thought initially that it would not be challenging enough cycling an average of just about 25 miles a day but actually it was about right. It gave you enough to explore the wonderful villages and historic buildings en-route. We are now planning our next trip and will definitely use Macs Adventures, they are excellent organisers of this sort of trip. Brilliant introduction to cycling in amazing surroundings. We were booked to do the West Highland Way with Macs adventures but my wife had a problem with her hip and we swapped to the cycle tour of the Moselle instead and we are so glad we did. My wife was apprehensive as she has never cycled much but she loved it and gained in confidence each day. The trip is well paced and our accommodation along the route was delightful. The weather was kind to us and we had sunshine every day which helped. The scenery was amazing and the small villages and hamlets along the way were beautiful. There is no need to take packed lunches each day as there are plenty of places to eat. There are also little 'wine huts' along the route where you can sample the local wine which was amazingly good. This is a fun, relaxed holiday which we would highly recommend as something different to try. This was our first biking trip. We went in early May and the weather was good. The paved bike path along the river was flat and easy cycling. We travelled up to 50 km per day and had time to explore some of the towns along the way, plus have a relaxed lunch. The hotels were excellent although the lovely hotel in Karden had neglected to turn on their hot water to our wing of the hotel. The directions were very good, except when there was a detour on the path. We found that the detour signs were unclear . Near Koblenz Macs had suggested the Left bank of the river, and this should be stressed as the best choice for future cyclers. After reviewing the directions both sides of the river appeared to be along busy roads. We chose the R bank because it appeared to be a shorter route to our Koblenz hotel. However, we had a very uncomfortable 1 hour ride along a very busy road, with small shoulder on that side. Overall, it was a delightful tour and very comfortable riding for a first time cyclist to see the area close up and at a leisurely pace. I am happy with the holiday. it was well organised. the only minor flaw is that the first hotel in Trier was far from the city centre. otherwise we are happy with the package. 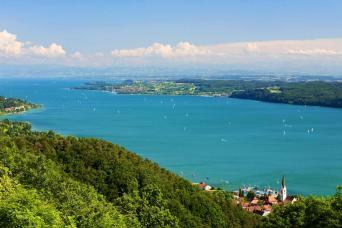 A great introduction to cycling holidays with scenic views along the journey. We found the guide books and maps invaluable with lots of suggestions for activities and places to visit along the way for each day. Loved the trip and would certainly recommend to new cycle adventures-we four girls loved it. Anyone who appreciates the outdoors would enjoy this trip. It's great for visiting many different german towns rather than being based in just one town, and you get to visit lots of castles on the way to Koblenz too! The Moselle Cycle Path is perfect for families, beginners or regular cyclists looking to combine easy riding with wonderful scenery, beautiful towns, and great food and drink. Don’t miss it!